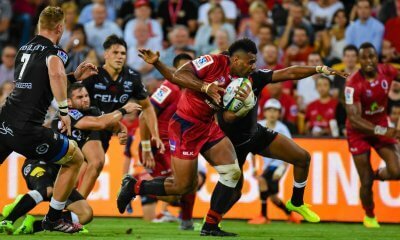 Fridays Rugby News sees calls for tweaks to the Giteau Law, McKay staying put, The Classic Wallabies and Trial match news. Yours truly doesn’t like change. What sane person would! That’s why it took me a while to get used to the Giteau Law that allowed overseas Wallabies with sixty tests and seven seasons of Super Rugby to be selected for Australia. It’s taken four years to get used to it and then Drew Mitchel comes out and calls for changes to the rugbyverse as we know it! Mitchell doesn’t say exactly what his suggested ‘tweaks’ are but it seems like anything goes with the likes of Scott Fardy (30 Tests), Will Skelton (18), James O’Connor (44) and Nic White (22) all suggested as players possible selected under a revamp eligibility law. At least he’s talking about tweaks rather than the open slather called for by Bob Dwyer and human mouthpiece Alan Jones. Surely What Mitchell is suggesting is a lot more than tweaking and the fallout for Australia’s Super sides would be devastating. With the news of a vacant Wallabies attack coach position suddenly opening up rumours about possible replacements for Bernie Larkham are coming thick and fast. But one guy going nowhere is the Reds brand new (again) attack coach Jim McKay and I, for one, couldn’t be happier. 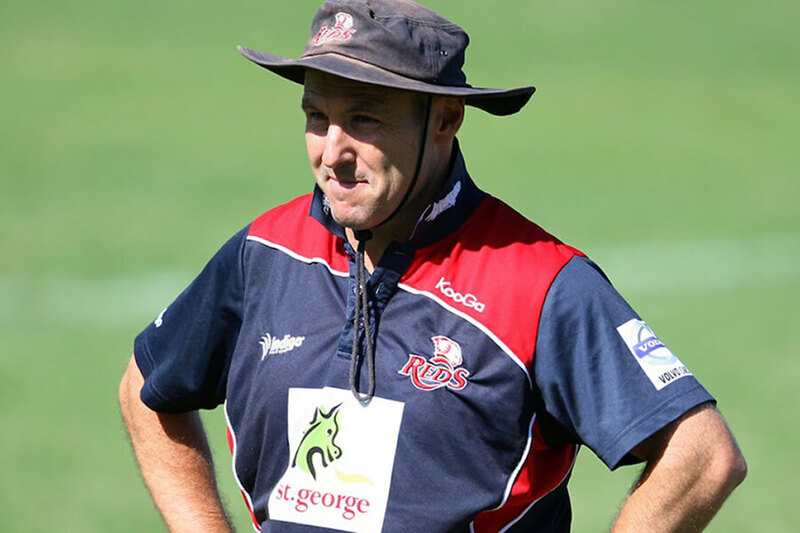 Jim is relishing his return to the Reds, who he helped to the Super Rugby title in 2011 as attack coach under Ewen McKenzie, whose Wallabies staff he joined in 2013. “Obviously I’ve been (with the Wallabies) before which is a wonderful experience and a really humbling experience,” he said. “I think there was some speculation but I didn’t take any notice of that, my focus is totally here on the Reds. The Reds have suffered in attack and defence in recent years and Jim has his focus firmly set on reviving the teams try scoring fortunes. “We’ll see the same (school of thought as 2011) and there’ll be clear intent,” he said. “We’re trying to build this game that can be adaptable, smart, fast and physical but certainly it takes time to build that. “The players have all been exposed to different programs and different beliefs, so it does take time but the will’s there and we’ve been preparing (well). If you’re interested in getting out this weekend and also watching some older rugby legends hobble around for a good cause wonder down to Brothers Rugby Club in Albion and watch the Classic Wallaroo’s take on the Brothers women’s side. 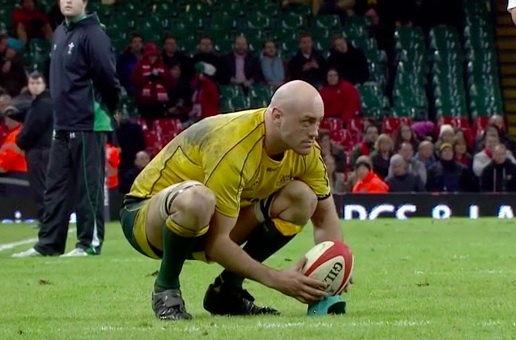 While Classic Wallabies take on… More Classic Wallabies in a shirts v skins game. players include Nathan Sharpe, Lote Tuqiri, Radike Samu, Morgan Tirinui, Mark Gerrard, Dean Mumm and many others. I hope we get to decide which side plays in skins or this could get ugly. If you’re hanging out for a rugby fix before Super Rugby kicks off there are trial matches happening this weekend! 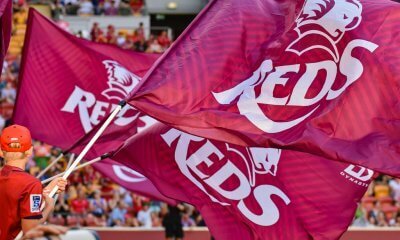 The Reds take on the Chiefs at Ballymore on Friday at 7:00 pm. The Reds have named a, nearly, full-strength squad of 27 players while the Chiefs have named a few up and comers. Reds head coach Brad Thorn said: “This is a great opportunity for us. We had the Rebels down in Ballarat last week for a hit-out and this will be a tough engagement against a good New Zealand side. “I think the boys will be looking forward to this and it’ll be the Chief’s last hit-out before they play the following week, so they’ll be coming with real intent. It’s also our last hit-out so I’m looking for the guys to step up from last week,” Thorn said. Pity about the ticket prices. The Brumbies women take on the Rebels women at Albury’s Greenfield Park with kick-off at 1.30pm. 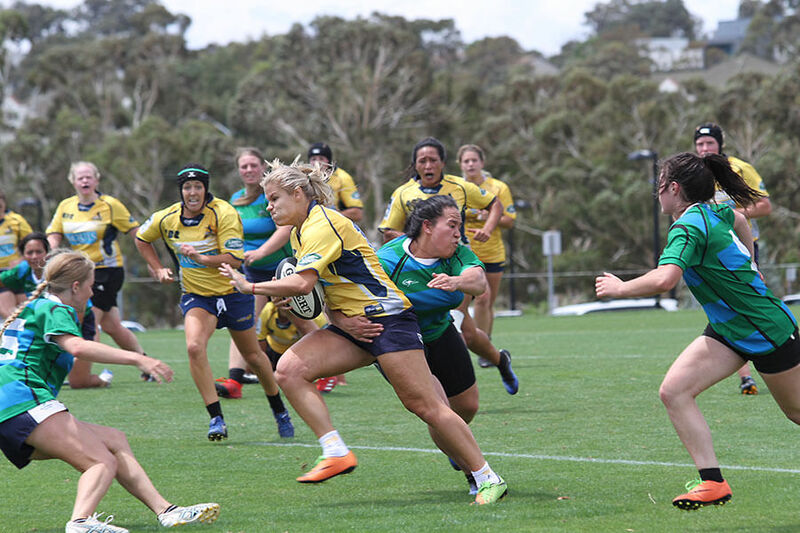 This is the Brumbies last trial before the Super W kicks off and they are keen to bounce back after going down to the Waratahs in their first trial game. If you’re after news of the Waratahs trial against the Brumbies I’m afraid you’ve missed it. 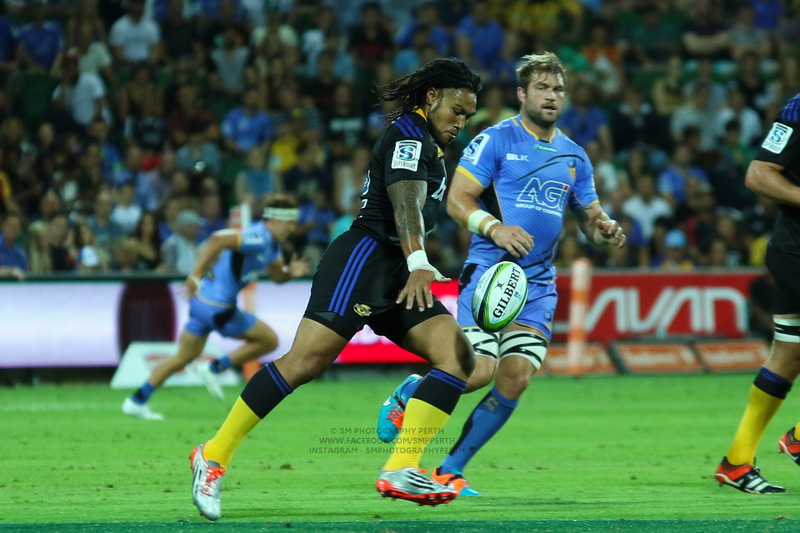 They played Thursday night with the Brumbies taking the Win. Both Karmichael Hunt and AAC looked up to it but the Brumbies will be sweating on an injury to another new recruit James Slipper. Morning Shane. Thanks for this. Not unsurprising Mitchell is spewing something that could kill Super teams more, listening to his dribble over the last few years he sounds like he’s had a couple of head knocks along the way as well. I understand the dilemma but considering all those players have gone off shore because the clown and his team of muppets have shut them out of Wallaby contention, I’m not sure a change of laws around selection would do anything more than convince others to look off shore as well. I can’t see any of them being in the mix unless Johnson and the new 3rd selector over rule Cheika and I think that scenario is a recipe for an even bigger disaster. Be good to get these trials out of the way and into the competition. I just hope there’s no big injuries to key players. The results don’t really say anything anyway and I’m not sure they have a lot of meaning. I’d love to see a franchise say no trials one year, have everyone fit and healthy at the start and see how that went. Sounds like McKay has seen the light and does t want his reputation tarnished with being part of the current Wallaby setup to me. I have been disappointed by Mitchell’s contribution to the debate after what was a strong start to his career at Fox. His early work was insightful and intelligent talking about small detail and game play. He has since fallen into the trap of being one of the boys and giving an insight into the entitlement that has followed him his entire career in Australian Rugby. Regarding eligibility I would prefer something like the Welsh model where if you are not offered a central contract by the ARU and play overseas you can be considered for selection. If you are offered a central contract and choose to go overseas then you cannot be selected. Cannot wait for the games to start. Good vibes coming out of the Reds re McKays contribution already and although I am not a Padre fan he has put together a strong support team. IIRC KRL Brad Thorn last year missed setting up any trials with other clubs and I think the consensus is that the Reds then started the season well behind other teams. While results mighn’t mean much or anything at all, I think the players really benefit from getting used to game conditions. McKay is making a great call in staying away from this dysfunctional setup. Why go into somewhere where you’ll have no authority, and can expect to only be a Yes Man to someone with an undoubtedly awful philosophy of rugby. However, I think you can change the foreign eligibility law without opening the floodgates. In fact, it may actually stop people from going overseas. My preference has long been for 7 years in Aussie super rugby regardless of the number of caps should make one eligible. Currently, most of the players going overseas are not the guys with 7-8 years and 60+ caps, they’re guys who have been in Aussie super rugby for 3-5 years and have between 0-30 caps. Basically, the carrots of the Wallabies and the giteau clause do nothing for these guys like JOC and Nic White and Luke Morahan, as they are so far away from getting to the 60 caps and they were out of favour with the current coach. However, if they knew they only had to stay in Australia for another 1-3 seasons and they would be guaranteed permanent eligibility for the Wallabies, even if they’re not picked or are injured during that time, then that is a pretty clear incentive. It also means that they can bide their time until a more favourable coac/selector comes about. That’s another firm incentive for guys like Kerevi, Coleman, etc to stay in Australia another year or two, rather than leaving after the World Cup. 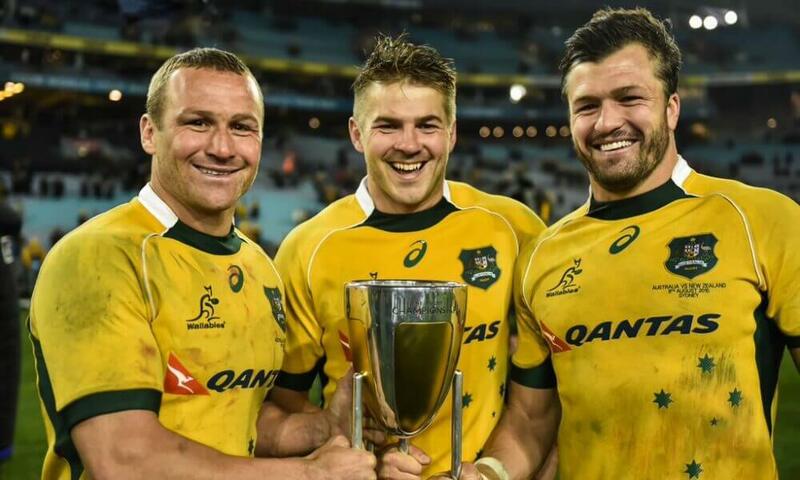 Players want to play for the Wallabies. Let’s both make our national side as strong as possible, while rewarding loyal servants of Aussie rugby (guys like Fardy, White) whether or not they were in favour with the particular coach at the time and whether or not they peaked later; rather than just guys that are mates with the coach, even if they haven’t even been playing first tier rugby abroad (AAC). White, Morahan and JOC could all make hugely positive impacts, I am sure. And should all be in the 23, if not all starting. I remain to be convinced by Skelton, but if he has improved, he could offer a huge benefit also. I don’t really see any broad conceptual /philosophical reasons in favour of the current rule. Either return to purely domestic eligibility, or else open up selection to all loyal Aussie rugby players, not just the guys who are mates/in favour with the coach (or past coaches). I do sort of get the intent in that it is meant to discourage players from leaving early and retaining the ability to select experience but it never took into account that you’d have such a disfunctional coaching team who would have such weird selection decisions. Nor that players may improve overseas. That’s a kicker isn’t it? All these players leaving Australia and getting better when guys like Beale come back and get worse. Doesn’t say a lot for the coaching and attitude here. Keeping on with this one DBTB! The previous policy seemed focused on keeping Wallabies in Australia whilst your suggested amends focus more on keeping rugby talent in Australia. Of course that may include some active Wallabies but would also cover fringe players and those who are stuck behind a legend like Poey and not getting game time. 7 years seems like a long time but for the pro player nowadays that makes them only 25 assuming 18 y.o. start on the pro pathways. Maybe 6 years as rugby player’s careers are getting shorter with the injuries and general toll on their bodies. I get what you mean, it does seem like a lot, but often there are at least a couple of years that a player is in the squad but isn’t really playing while they’re developing (Hawera has already been with the Brumbies for three seasons, for example). Even Samu Kerevi, he still seems young, but this is his sixth season with the Reds already. True! Whatever the appropriate timeframe is I’m fully behind your idea to change eligibility to years playing in Aus. May even extend it to NRC to qualify, not just Super. Maybe. No way, they are something to be revered! Quite often there has been a lot of financial investment to achieve a figure like that of your average front row forward. Schooners and pies aren’t cheap. Drewsy needs to consult the Oxford on the subtle but important differences in meaning between benefactor and beneficiary. Unless he truly believes he gave more than he received. I wonder if Jim McKay wishes he had QC! Absolutely no surprise Jim McKay wants to steer clear of the current Wallabies setup. You’ve done it now Shag. FUX have released the dogs of war – you have upset Dwew and you don’t want to mess with the inner sanctum (cue spooky music here). Dwew is on the front foot and going full tilt whine about Respect and other stuff. Call me ol-fashioned, call me out of touch, delusional and a wanker, but i though respect was earned through performance and conduct over a sustained period. I see how someone could respect,say – The Nippon XV. They always turn up, play to the level of their abilities and always -always, give a good account of themselves, regardless of result and occasionally get a result like the 15 RWC v the Dutch Dirt Diggers and you are filled with admiration for their effort, willingness and conduct – its the old saying – even an ugly dog can still lick its balls. Now i segway into the 2016-2018 Wallabies. Could i apply the same criteria, always giving a good account of themselves, turn up and play to their abilities and are willing to slog it out each and every time…………………..rhetorical question really. It sometimes baffles people when the jokes start bout me being a Wallabies fan and the losses and i say the same thing – its not the losses that hurt most its the manner of how we play (yes and selections and and and and and). Respect hey Dwew, me thinks you & the Wallabies start earning the right to whine about the lack of it to begin with. “…respect was earned through performance and conduct over a sustained period.” maybe in the past generations, unfortunately how respect is currently thought to be earned (by some current and recently former Wallabies) is through… tweets, likes, and follows. I say some, because there are still a number of top quality hard grafters in the Wallabies who definitely earn respect the old fashioned hard way. In all seriousness, when a guy like that starts talking about that topic… well even my kids know they can simply change the channel without even asking. It’s all white noise from him mate. Has Briz contacted u re sojourn to the hunter in March ? Not as yet. I’ll give him a nudge. Cheers. I’m sure Shag is shaking in his boots. The thing is, and it’s sad, I don’t think the Wallabies are respected by the ABs at the moment. Individually some are, but as a team competing against us I think not. Spot on mate. Pocock revered, Kepu respected, a Hooper tolerated. The rest mehhh. “Hooper tolerated”, that says a lot. Respect and toleration, to me, are the opposite of each other. First I looked at Taf. I think he WAS respected, but he’s arguably on the decline, not far behind Squeaky (there wasn’t much difference in age between them, Taf’s had a lot more head knocks, his throwing wasn’t ever at the same level). The rest of our front rows, there’s awareness, but they haven’t proven themselves consistently, so it’s not the same as Kepu. Our locks, I’d think there’s awareness of skillsets. I think that Simmons would be a little more respected than the majority of our locks at international level, purely for set piece. But I don’t think any of our locks scare opponents in general play. Coleman’s the closest, but his last year wasn’t great. Genia would be the one closest to be respected in the rest of the team. Always puts in. In the rest of the backs? 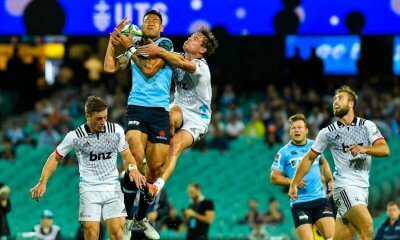 The only players who might occasionally put a small scare into opponents are Beale and Folau, but they’re so limited in certain aspects of the game that I think there’s a good chance of opponents thinking, “if our standards were that low…” When thinking about those aspects of Beale and Folau’s games. The other guys? TK SHOULD be respected. He was absent last year, but I genuinely think he can be as good as any 13 in the world. Problem is, the Wallabies don’t know how to use him. So I think he’d be respected as a player, but not as a member of the Wallabies. Kerevi’s similar. He could develop into one of the best 12’s in the world. But he’s so poorly used by the Wallabies, running down the wings so often, because of the constant positional switching. Which then sees him defending in situations that expose his weaknesses, too. So I’d argue he’s also got respect as a player, but not as a Wallaby, too. I’m with you Hoss. Whilst I want Australian rugby to do well and to win most of the time I don’t mind if they lose provided that the effort is there and that there is a sense that they are improving. I look at the current Wallabies in test matches and I can only see a few players giving 100% ALL of the time. Hooper and Pocock are the standouts, sure others will do something, some of the time. Players will even have a game where you think “Wow, where has that been the last X many tests” but generally, from my point of view in the stands or watching on the TV there appears to be a lack of focus and commitment. One the players in the side I coach is not the best skilled player, but he is the most reliable and gives my everything he has on the paddock 100% of the time. He is not flash, has no X factor but can be relied on to do the little things right, make his tackles, carry strongly and leads from the front. When available he is the first person I pick. Give me commitment and substance over style any day. Pity about the ticket prices indeed. For a trial that is quite a disincentive. Surely they could allow junior players in for free, or kids generally. Not sure what the Chiefs are looking like this year but the Reds selection appears as strong as they have with injury/Wallaby standdowns so I would expect them to give a strong showing. This would keep Adrian happy – ‘let Cheika be Cheika’. However, the current Wallabies squad does not possess the equivalent players to play such a style. Also, what works in SR does not mean it will work at test level. If Cheika goes that route, the other test coaches will not be really worried about it. Such enlightened thinking about the game would be beyond our current coaching set-up. Some interesting comments re Australian rugby from John Connolly too.